Choose the scan mode that best suits your needs. 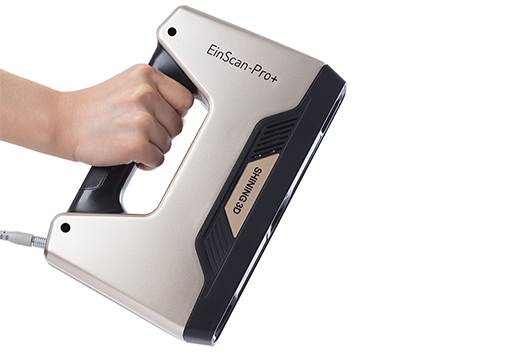 The EinScan-Pro+ offers Handheld Rapid Scan, Handheld HD Scan, Free Scan, or Automatic Scan. 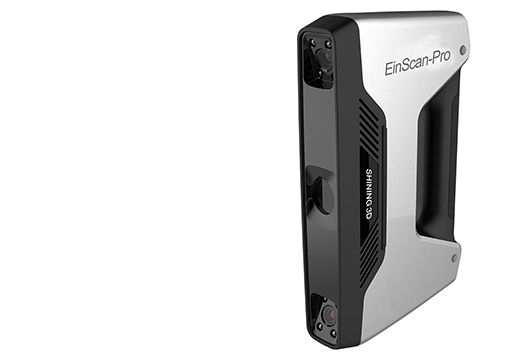 The EinScan-Pro is the newest 3D scanner available from Go3DPro. 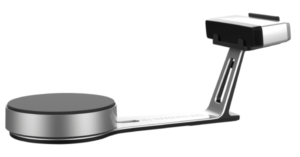 This multi-functional 3D scanner can be used in handheld modes, or with a tripod and turntable for automatic scanning. 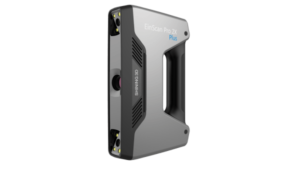 Using safe, white light LED scanning, the EinScan-Pro rapidly captures and delivers watertight 3D data of real objects for 3D printing. Or, non-watertight data can be used for reverse engineering applications. The EinScan-Pro has an ergonomic design, and weighs only 1.75 lbs (0.8 kg). 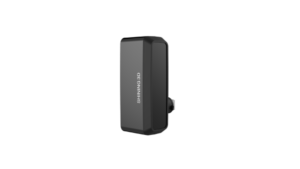 This makes the 3D scanner portable and fit for any duration of handheld scan. 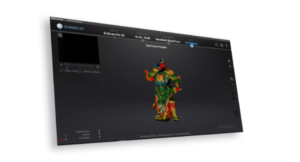 An optional external camera is also available to enable full-color 3D scanning. The range of single-frame scanning has been enlarged 1.6 times. Enhanced handheld HD scanning mode. By implementing and using an intensive line-scanning strategy, the original 7 data-capture lines have been increased to 100 lines. The scanning speed under the handheld HD mode has been increased to 550,000 points/second. Registration and tracking capabilities have been drastically improved to make scanning easier and more dependable.